This collection of inspirational quotes provides daily motivation for teachers and administrators. 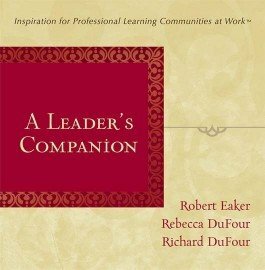 Collected from a decade of work by renowned experts Robert Eaker, Rebecca DuFour, and Richard DuFour, this book will keep educators focused on the daily work that drives a PLC, recommit them to their chosen profession (and remind them why they chose it), and sustain their enthusiasm for the journey. Find inspiration and motivation within daily reminders on the importance of education. Stay focused on the critical work involved in maintaining a successful PLC. Renew your enthusiasm for teaching. Reference a convenient collection of the big ideas for teachers and administrators. Discover forward-thinking ideas that cover every aspect of a PLC, from meeting in collaborative teams to closing the knowing-doing gap.